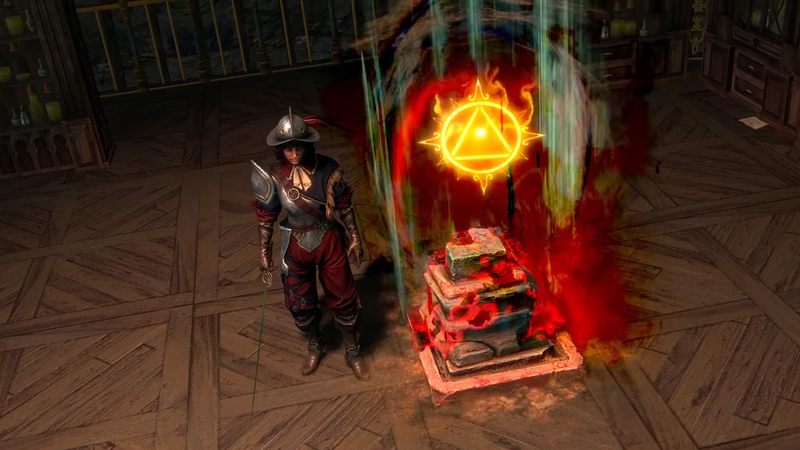 Traveling back in time to an ancient temple, spilling blood to extend your visit, and killing specific architects to change history and alter the structure's present-day ruins -- the upcoming Incursion expansion for Grinding Gear's free-to-play action-RPG Path of Exile isn't messing around. Incursion has players working with relic hunter Alva Valai to explore the Vaal Empire's Temple of Atzoatl during its construction. With persistence, you'll learn its current-day location and ideally get rich quick. There's a risk-reward system in play, too. "By traveling into the past and influencing the Vaal Architects to upgrade the rooms they are building, you can access even greater treasures. Many upgraded rooms come with rewards worthy of the significant danger they introduce into the temple." The free expansion joins Path of Exile next month. It's hitting PC on June 1 and Xbox One on June 4.